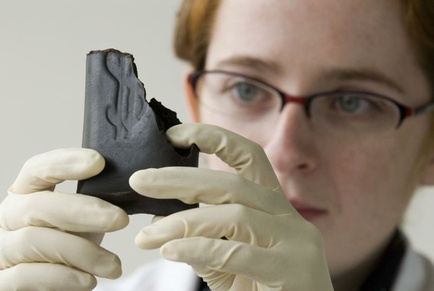 University Science Writing Competition – Winners Announced! The winners of our first-ever writing competition here at Scientific Blogging were announced this week, and we couldn’t be happier with the results. Three outstanding articles were selected by YOU – the readers, and all three are certainly worthy of the recognition. The day is here! After much reading and reviewing, we’ve determined the finalists in our University Writing Competition. We had some pretty impressive entries, and we believe our final group highlights the best examples of science writing we received. The finalists ended up being a good cross-section of subjects, science disciplines, and participating universities. All are all well written, informative - and often times, entertaining. We think you’ll agree. 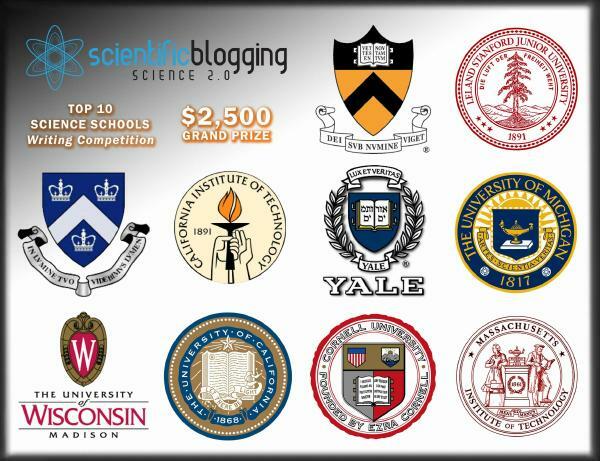 Scientific Blogging University Writing Competition - Begins Today! Today marks the start of the (first) Scientific Blogging University Writing Competition. We decided to do this because, since our inception, the scientific community has been incredibly gracious about embracing Science 2.0. The top question we have been asked in emails is 'What should I write about?' and the answer is, we don't know. Since the contest covers 11 schools and all science disciplines we have no idea what will resonate with the audience. Whatever you write should have some popular interest - no one wins "American Idol" doing Gregorian chants, for example - but it's your own voice so you have to write what is interesting to you. Scientific Blogging's University Writing Competition kicks off next Tuesday, September 1st. There's been a lot of buzz and excitement about our first-ever writing competition that will give one lucky grad student a $2,500 cash prize, and a paid 3-month writing internship at Scientific Blogging. Last week we revealed the Top 10 Schools for Science based on the results of a 3-year study performed by US News&World Report. The study ranked the nation’s best science graduate programs, based upon the results of surveys sent to academics in Biological Sciences, Chemistry, Computer Science, Earth Science, Mathematics, and Physics. Folsom, CA – August 11, 2009 – On Monday, August 17th at 1:30PM in Hensill Hall 113, attendees of the 90th Annual Pacific Division Meeting of the AAAS in San Francisco will get to learn about the latest efforts in science communication from some of the brightest minds in the field. The symposium is called “Good Science is Only Part of the Job: Communicating Science to the Public.” (Online link: http://www.sou.edu/aaaspd/2009SANFRANCISCO/Symposia09.html#15).